A system for the metamorphosis of light, Nur creates indirect light accompanied by a subtle “halo” effect on the ceiling. 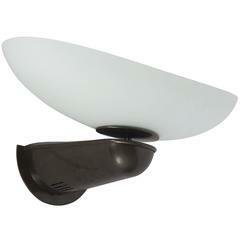 Aluminum molded body, polycarbonate lower diffuser, upper CAP is transparent borosilicate glass. Nur ceiling is available in aluminum, grey, glossy black, glossy white, glossy orange, glossy green, glossy grey. This item is currently only available in North America. 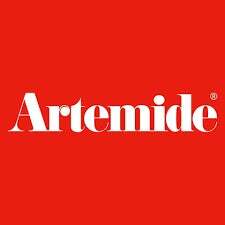 Artemide has been a worldwide leader in lighting design with an unparalleled commitment to technological innovation, research and human interaction. Established in 1959 by Ernesto Gismondi and Sergio Mazza, the company specializes in the manufacture of lighting designed by architects and has created award-winning collaborations with some of the world’s most talented designers including Naoto Fukasawa, David Chipperfield, Zaha Hadid, Jean Nouvel, Karim Rashid and Herzog & De Meuron. Among Artemide’s extensive product line are two icons of modern Italian design: the Tizio Desk Lamp designed by Richard Sapper in 1972 and the Tolomeo Desk Lamp designed by Michele De Lucchi and Giancarlo Fassina in 1986, both of which are included in the permanent collections of The Metropolitan Museum of Art and The Museum of Modern Art. Ernesto Gismondi ‘NUR’ dimmable hanging lamp for Artemide. Good and working condition, dimmable, halogen lamp, first edition, consistent with age and use. 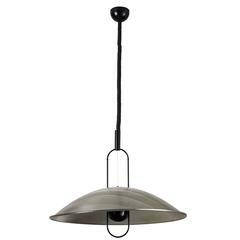 Steel base with opaline glass shade, designed by Ernest Gismondi for Artemide in the 1980s. Fitted with Dulux F neon lights. Six pieces available. Macumba pendant light by Ernesto Gismondi for Artemide designed in Italy, 1974. Perforated metal and brass. Wired for US junction boxes. Takes one E27 100w maximum bulb. Alistro task lamp by Ernesto Gismondi for Artemide in plastic and steel with swiveling base, adjustable arm, and shade. Three Mid-Century Modern wall or ceiling lights designed by Sergio Mazza for Artemide, circa 1960s, executed in nickelled brass and pressed glass.